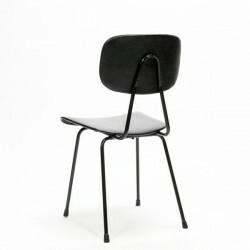 Vintage design chair, the chair is produced by Kembo, in The Netherlands. 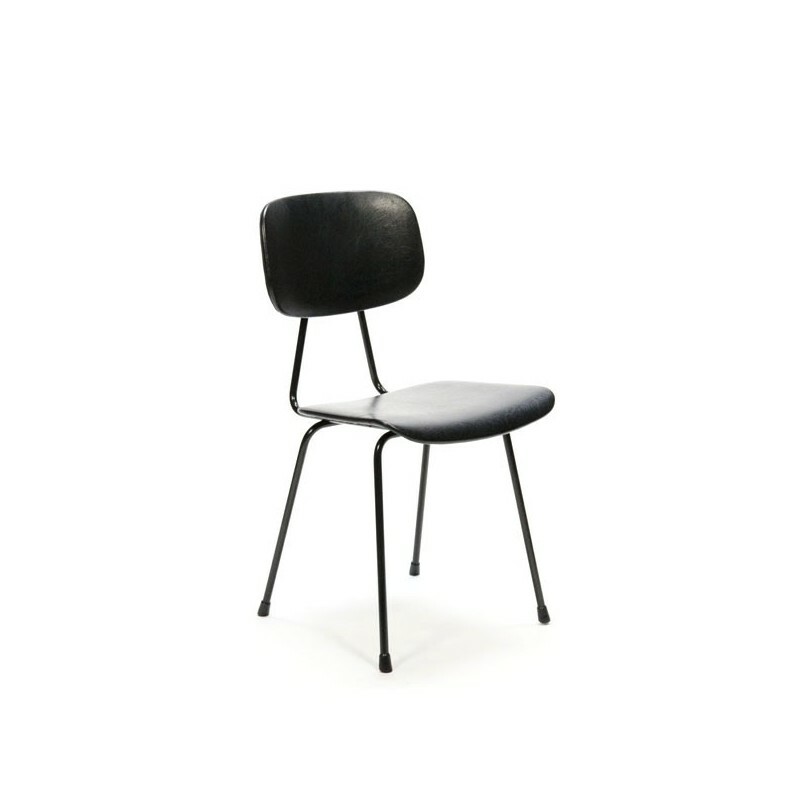 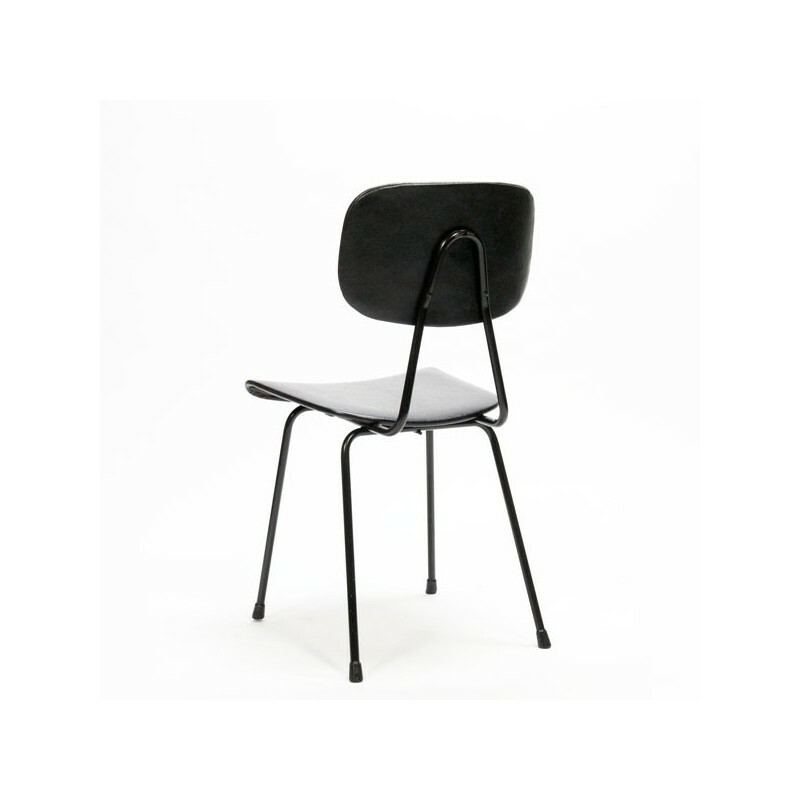 The chair has a black frame and is upholstered in black skai (original and in good condition). The condition is good, especially considering the age, see detailed pictures. 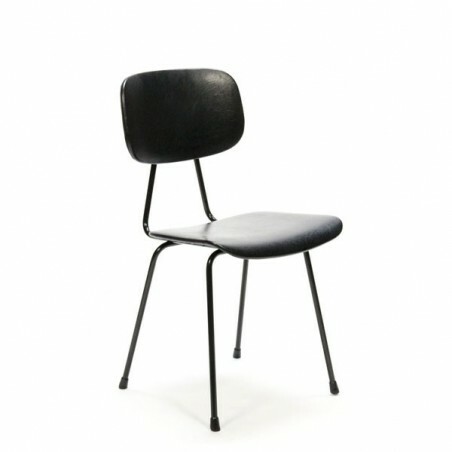 The size is 46.5 cm SH / H 83 cm / 41 cm B.